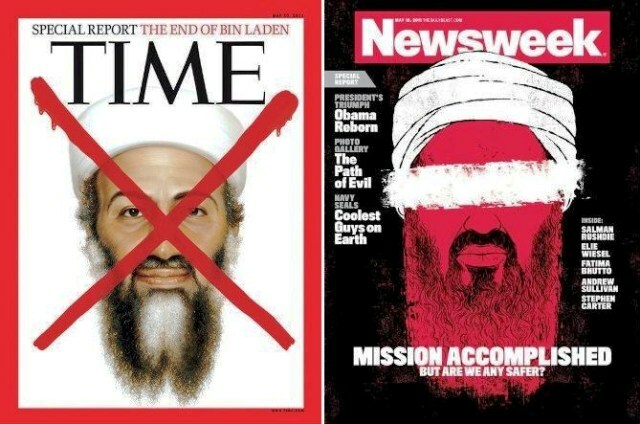 Random thoughts on Osama bin Laden… … What should I have focused on … if I were the editor of a news magazine, given the pace with which news travels these days and the news that indeed travelled immediately after US President Barack Obama declared Osama bin Laden dead? In an era of electronic media and supersonic social media, my magazine that would have normally come over the weekend, would have otherwise produced stale food. — Though it is Osama Osama every-which-where, why are the poll ratings of Obama going up in America? — Why the identity of the man who fired the fatal shot being kept secret? Wah… you kill the most wanted man but your name nobody knows. Eh! — Did Osama contemplate surrender, even for a moment? Even otherwise, why did the Navy SEAL commandos kill him when he was unarmed? — Did his bodyguard(s) actually kill him, for money? — How many many many many many many many dollars & lives this man cost? — Who would be announcing a blockbuster on Osama’s death, first? Hollywood or Bollywood? — An imaginary will of bin Laden’s will, telling his children to be messengers of peace than avenge his killing. — A strong demand from the US to release the images of Osama’s death & burial. And it is for the fourth time in TIME history that they have put a red X over a face on the cover. The first time marked the death of Adolf Hitler in 1945. In 2003, they revived the X for Saddam Hussein on the occasion of the US-led coalition’s takeover of Baghdad. Three years later, they put it on the face of Abu Mousab al-Zarqawi, the scourge of Iraq. Now they use it to signal the death of Osama. they didn’t release the name of the navy seal when this happened in fear for the safety of him as well as his family. There is now a documentary you can find with the man who made the shot.